Bupron SR (Bupropion Hydrochloride) is used to treat depression and seasonal affective disorder (SAD). It is also widely prescribed as a smoking cessation aid, and when used in combination with a comprehensive counselling and support program, it can help people to successfully quit smoking. 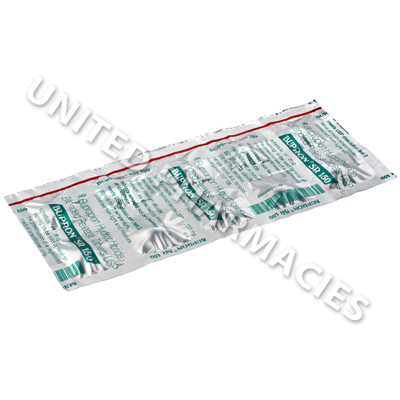 Manufacturer : Sun Pharmaceutical Ind. Bupron SR (Bupropion Hydrochloride) is used to treat depression and seasonal affective disorder (SAD). It is also widely prescribed as a smoking cessation aid, and when used in combination with a comprehensive counselling and support program, it can help people to successfully quit smoking. Although nicotine replacement therapy is widely used to help people give up smoking, this medicine reduces cravings in a different way. It is believed to work by increasing dopamine and noradrenaline activity in the brain, which in turn helps to reduce the urge to smoke. In addition to being used as an antidepressant and a stop smoking aid, this drug may have other benefits. Medical studies have taken place, to determine whether or not it would be an effective treatment for other conditions, such as social anxiety disorder, sexual dysfunction, obesity, ADHD, Crohn's disease, psoriasis and many other conditions. 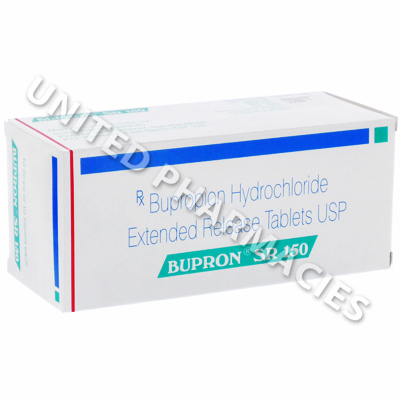 Bupron SR (Bupropion Hydrochloride) extended release tablets are taken by mouth. The dosage required will vary for patient to patient, and only your doctor can prescribe the correct dose. Adult patients undergoing treatment for depression are often told to start treatment with 150mg per day, taken in the morning. If your doctor deems it necessary, your dosage may be adjusted after 4 days of treatment, and you may be told to take 300mg per day. If an adequate response has not been achieved, your doctor may adjust your dosage to a maximum of 450mg, once per day. When patients are trying to stop smoking, it is important to remember that motivational support is an essential part of treatment. Patients are usually told to start taking the drug while they are still smoking, after which a date should be selected on which to stop smoking (usually in the second week). This is to allow the medicine the chance to begin working. Generally, if the patient has not managed to successfully quit after 7 weeks of taking the medicine, the prescribing doctor will advise discontinuing treatment. During the course of treatment, you should talk to your doctor if any side effects occur. There is a possibility of serious side effects occurring in patients treated with this medication. Seek medical care immediately if you experience hallucinations, strange behaviour, blisters, fever, seizures or any other symptoms that indicate you may be suffering from serious side effects. The active ingredient in this drug is an antidepressant medication. Although it may help some patients who are affected by depression and other mood related disorders, there is a possibility that a small number of people who take this drug (even if it is used for treating conditions other than depression) may experience suicidal thoughts. Prior to beginning treatment, you must inform the prescribing doctor if you are currently affected by or have ever suffered from seizures, anorexia or bulimia. Always use Bupron SR (Bupropion Hydrochloride) as you have been prescribed by your doctor. Never self-medicate or change your dosage without first consulting your doctor. The correct dosage can vary depending on your health, medical history, and the severity of the condition being treated.